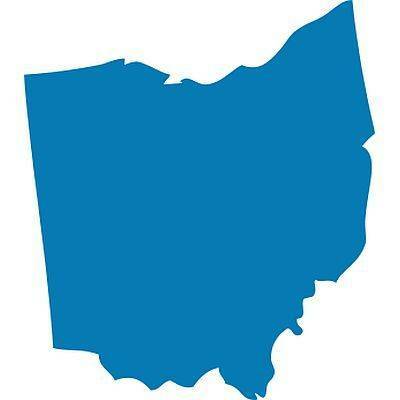 COLUMBUS, Ohio (AP) — The death sentence is appropriate for a man who planned a killing and restrained the victim as he was fatally stabbed, even though the man who wielded the knife received a life sentence instead, the Ohio Supreme Court ruled Thursday. The court’s unanimous decision rejected arguments by death row inmate Austin Myers that his death sentence is disproportionate because of the life sentence given to co-defendant Tim Mosley. “If the main offender gets life without parole, and the accomplice gets death, it is patently unfair,” Myers’ attorneys argued in a 2016 filing with the court. A message seeking comment on Thursday’s ruling was left with Myers’ attorney. Justice Patrick DeWine, writing Thursday’s opinion, cited evidence of “Myers’s extensive involvement in the planning and execution of Back’s murder” in rejecting that argument. Myers came up with the idea of stealing a safe in Back’s home and killing Back to get it, rejected his co-defendant’s proposal to enter the home when no one was there, and brain-stormed a plan to use a homemade garrote to strangle the victim. During the killing, Myers “restrained Back while Mosley slipped the garrote over Back’s head and continued to restrain him when Mosley, having failed in his attempt to strangle Back, pulled his knife and began stabbing him,” DeWine wrote. Prosecutors had argued the court couldn’t weigh proportion in the case because no factors for or against a death sentence were presented in Mosley’s case, since he pleaded guilty. In Myers’ defense, his attorneys cited the case of Jason Getsy, executed in 2009 for killing the Ohio mother of the intended target of a murder-for-hire scheme. In that case, the mastermind of the attack, John Santine, was sentenced to life without parole. DeWine said the Getsy case actually undercuts Myers’ argument, because the state Supreme Court found it troubling that the attack’s planner did not receive a death sentence. As a result, the Getsy case argues that “the person who instigates and plans an aggravated murder may be at least as culpable as the one who actually carries it out,” DeWine wrote. The court also rejected arguments that Myers’ youth at the time — 19— should be given more weight, because the U.S. Supreme Court has banned executing people for crimes committed under the age of 18.